People around the world understand Colorado is a great to live, and increasingly, they are also beginning to understand the state is an unbelievable place to build careers. 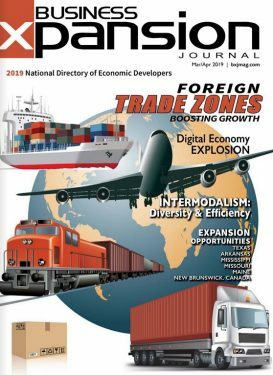 “That is what is starting to fuel not only the inbound migration of talent but also the inbound migration of companies,” says Ken Lund, executive director, Colorado Office of Economic Development and International Trade. Colorado has ranked among the top five states for population growth since 2009, and among the top 10 since 2006. The Denver metro was the No. 1 destination for the age demographic of 24 to 34, in gross numbers, not per capita. Companies and talent will find a supportive business climate in Colorado, where officials want to foster the most globally competitive state in the country. The 2013 legislative session proved to be successful for economic development initiatives. Several bills were passed to strengthen Colorado’s business environment, with signature pieces focused on entrepreneurship. Other pieces include reforms to the enterprise zone program, and a five-year extension of the Colorado Job Growth Tax Credit program. In regard to the signature pieces, the Advanced Industries Accelerator Act is a $15 million grant program to further growth in seven advanced industries in the state: energy, IT, advanced manufacturing, aerospace, biosciences, infrastructure engineering and electronics. The industries represent about 10 percent of U.S. economy, and 25 percent of Colorado’s economy. “A companion piece of legislation is the Advanced Industries Export Accelerator Act, which is designed to focus on the same seven sectors, specifically to enhance and grow exports that are being driven through those sectors,” Lund says. The entrepreneurial climate in Colorado is robust, spearheaded by the Colorado Innovation Network, which works to position the state as the most innovative in the country, and by doing so “driving economic development growth across the state,” Lund says. The organization hosts an annual summit where it brings the global economy to Colorado to discuss how innovation is changing the state’s economy, the global economy and how Colorado is positioned for the growth. Colorado’s economy consists of a variety of industry clusters, including advanced manufacturing, aerospace, biosciences, defense, energy, renewable energy, food and agriculture, tourism and outdoor recreation and transportation and logistics. In regard to renewable energy, the San Luis Valley in southern Colorado features a cluster of solar panel installations. The eastern plains region is a destination for wind energy farms. In Weld County, the wind energy cluster consists of wind farms, and three plants for Vestas Wind Systems, which manufactures turbines and nacelles from the plants. “It has spurred a lot of activity, which has led to a large industrial park focused on data centers,” says Eric Berglund, president and CEO, Upstate Colorado Economic Development, which markets Greeley and Weld County. The Niobrara Data Center Energy Park is designed to be self-supporting and not dependent on the energy grid. The developer has earned approval to form a gas utility to supply natural gas to the park. Berglund says in addition to the park’s location near one of the country’s largest natural gas hubs, the park can tap into the wind energy generated in the area. The park would also support a solar farm to provide onsite energy generation. These redundant power sources are attractive to data center operations, which are large energy users. Also in Weld County, production in shale mines led to the extraction of more than 37 billion barrels of oil in 2012. There are more than 20,000 oil and gas wells in the county, which is a county of 4,000 square miles and 31 communities. The county also has more than 2 million acres devoted to farming and livestock. Traditional energy resources are important in the state. Lund says Colorado has experienced an explosion in the natural gas energy arena. Gov. John Hickenlooper has embraced the resource as cleaner than fossil fuels, and as the bridge energy from oil to clean energy. Recent headquarters projects in Denver include DigitalGlobe Inc., which acquired a nearly $1 billion asset in GeoEye Inc., which is based in Virginia. Officials of the combined company, which focuses on earth imagery and geospatial analysis, decided to locate its headquarters in Denver. Another headquarter announcement comes from Ardent Mills, which is a flour-milling joint venture between ConAgra Foods, Cargill Inc. and CHS Inc. “Assuming they receive the SEC approval they are working on will, they locate their corporate headquarters in metro Denver,” Brandt says. Interestingly, although the venture doesn’t include operating assets for the area, the venture was created to sell wheat that is based on research conducted at Colorado State University. Lund says the state’s leadership in the ages 25 to 34 demographic plays a vital role in luring headquarters operations. “Those young, smart people, and where they are choosing to live, is why Colorado is such a desirable destination for headquarters,” he says. Corporations are also taking note of the addition of international flights out of Denver International Airport, such as direct flights to Tokyo, and Mexico City. Iceland Air also offers a direct flight to Reykjavik, putting travelers that much closer to Europe. Industries in Weld County are supported by customized training programs offered through Aims Community College, including a specialized program for the oil and gas industry. Front Range Community College serves part of the county, and offers training in machining and clean energy, among others. The University of Northern Colorado is home to the only Baldrige Award winning college of business in the country, which Berglund says offers excellent executive training in areas such as finance and marketing, and is attractive to business services companies. It also helps when officials in communities such as Weld County are adaptive and responsive to the needs of business. Officials have helped facilitate federal grants that have turned into bottom line results for companies. “One company has been able to reduce their inventory by $1 million because of different practices they put in place based on lean manufacturing business practices,” Berglund says. Weld County is also the only county in the state that is debt free. They also don’t collect county level sales or use taxes, which equates to lower costs of conducting business. Back at the state level, Colorado ranks highly in several measures in regard to its innovation assets. The state was chosen as one of four sites by the U.S. Patent and Trademark Office for a satellite patent office. The state ranks third in the nation for NASA prime contract awards, and fifth for per capita venture capital investment. Boulder is ranked as the No. 1 best startup city in the country by ZoomProspector.com. The variety of outdoor and recreational activities in Colorado’s regions such as the Rocky Mountains, Pike’s Peak, Steamboat Springs, Breckenridge, and Aspen, foster the overall health and wellness of residents. Colorado is the country’s second highest state for happiness and well-being, according to the 2013 Gallup-Healthways Well-Being Index. In fact, Colorado’s working-age adults are healthier than their counterparts in most other states, according to the Colorado Health Report Card. In 2013, Colorado was recognized as the second best state in entrepreneurship and innovation by the U.S. Chamber of Commerce; as the second best state for entrepreneurship and innovation by Inc., and as the second best state to start a business by CNBC. The Simon Fraser Institute has ranked Colorado No. 3 for labor market freedom, and No. 2 in economic freedom. The Tax Foundation has ranked Colorado No. 6 for its business-friendly tax climate. Coloradans are among the nation’s most highly educated populations, ranking second in the number of citizens with a bachelor’s degree. In addition to having the lowest rate of obesity in the United States, Colorado is ranked as the most physically active state by Kaiser State Health Facts. Colorado boasts more than 35 winter recreation areas that offer snowshoeing, snowmobiling, snowcat tours, sleigh rides, ice skating, cross country skiing, downhill skiing, snowboarding, and more. Colorado is the country’s most popular ski destination, with 26 world-class ski resorts.